I am hosting another challenge over at the JustRite Inspiration Blog today. For JustRite Friday Challenge #128, I am asking you to create a card or project using JustRite images the might be found in nature such as flowers, plants, butterflies, etc. I know I have been doing a lot of Fall themed cards lately but it's my favorite time of year! I used Oak Leaves small cling and tried my hand at a little water coloring. This is definitely not my usual thing but "practice makes perfect", right?? I should have taken pictures as I was doing this but honestly I wasn't sure how it would turn out. I stamped the main image with brown ink and then stamped different colors of Distress Ink pads onto my craft mat and spritzed with water. Then I took a small paint brush and just dabbed different colors on the image. I really need to go back and watch some videos again. I know there are several great ones from the girls over on the JustRite YouTube channel. Be sure to stop over and subscribe! There is a $25 JustRite Gift Certificate up for grabs so you better get busy stamping! 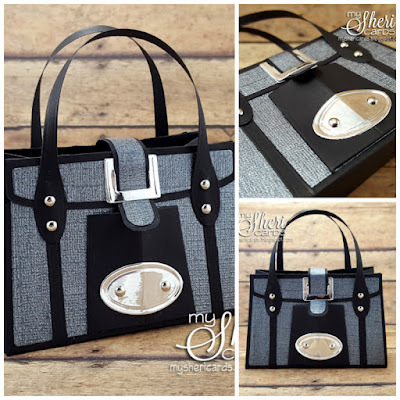 My Sheri Crafts Challenge #169 - Tag You're It!